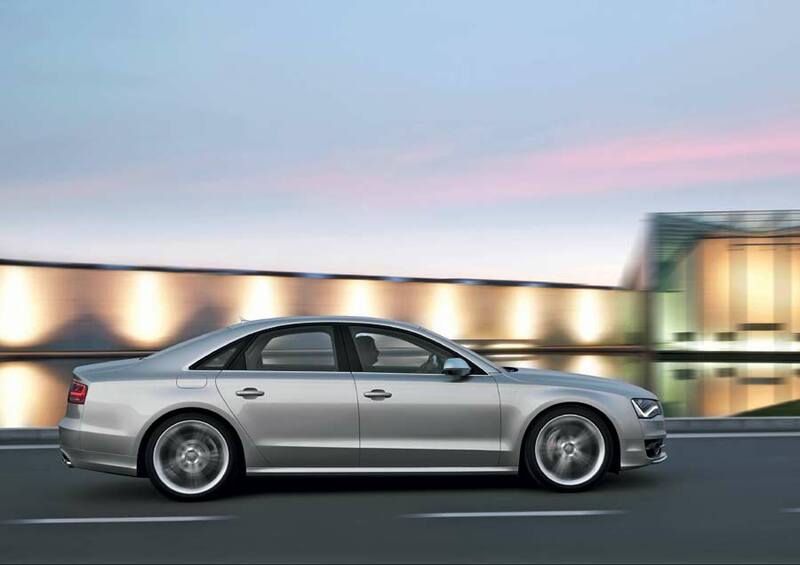 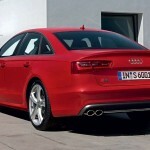 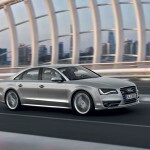 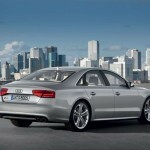 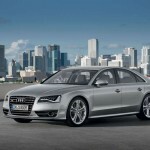 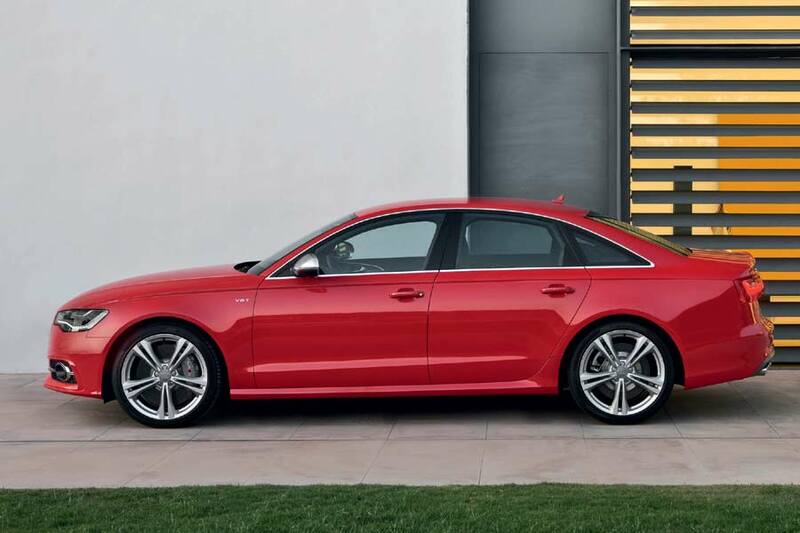 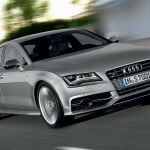 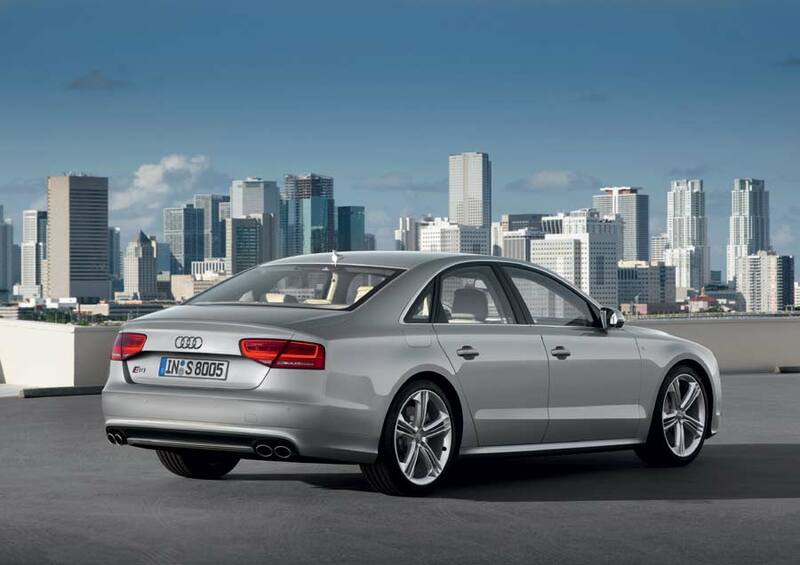 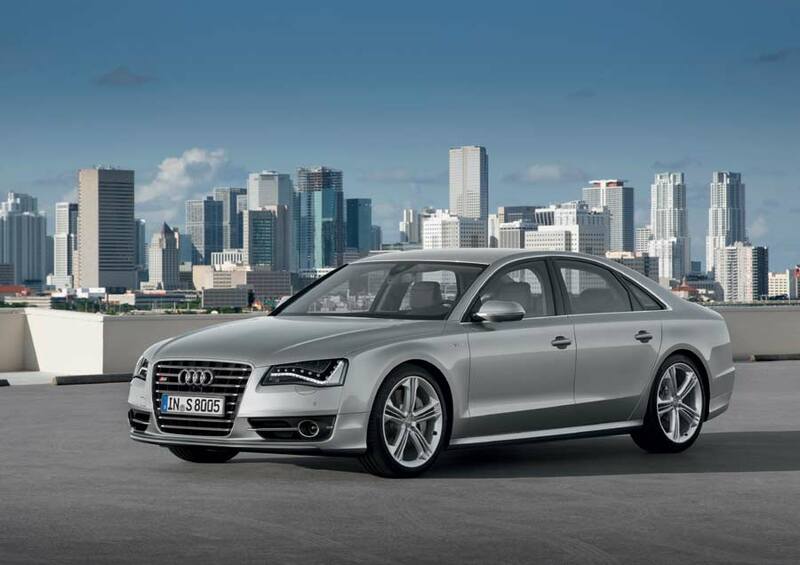 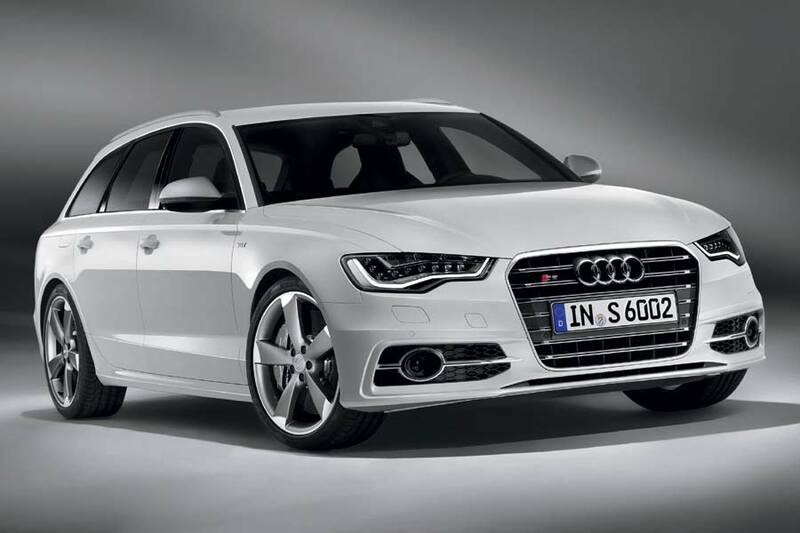 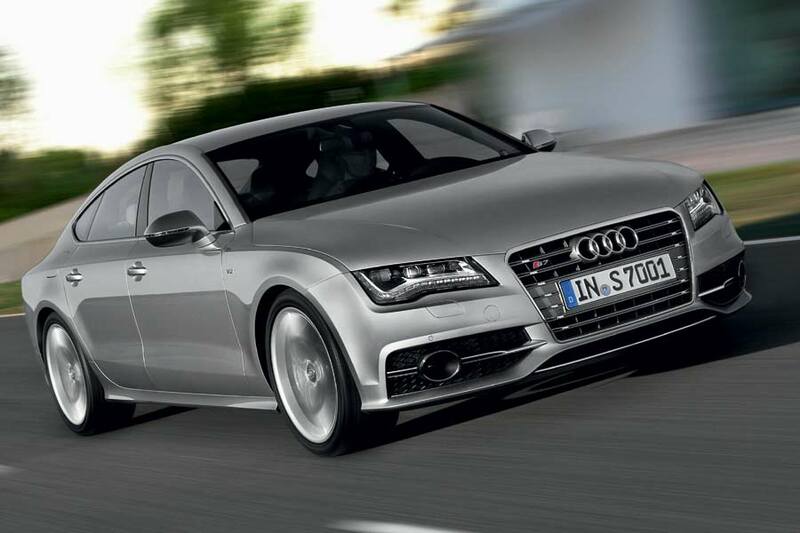 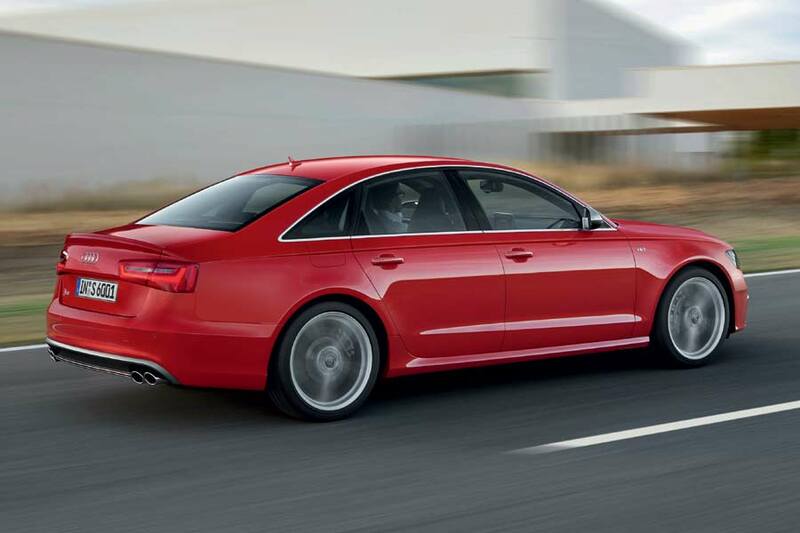 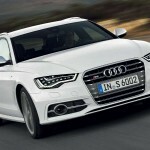 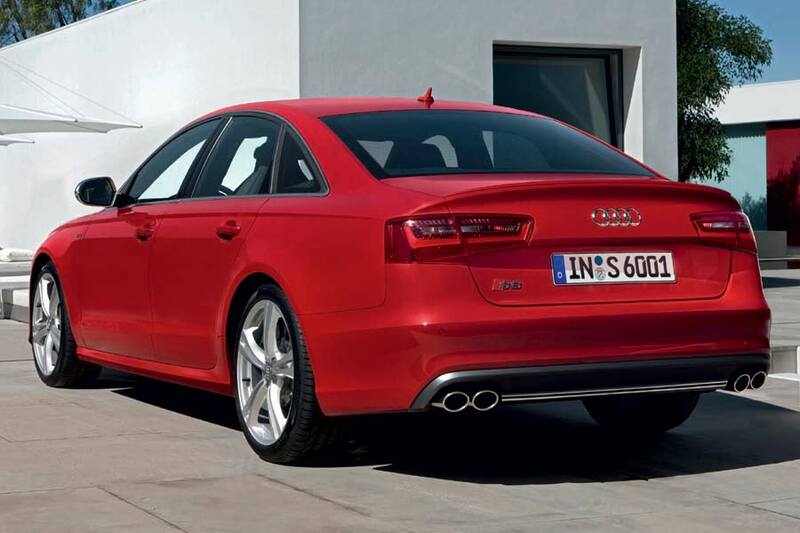 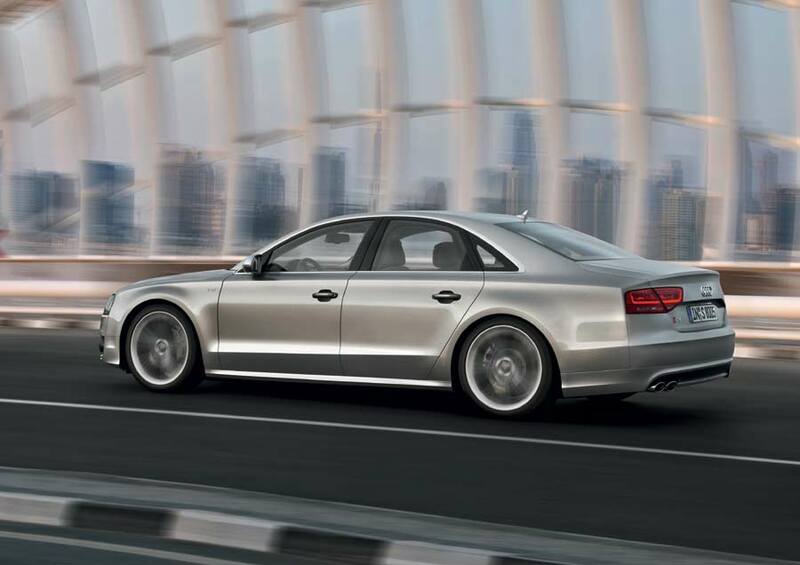 Audi has released details and images of its 2013 S6, S7 Sportback and S8 models ahead of their world débuts in Frankfurt. 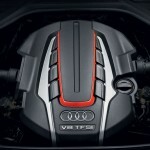 Dropping the 5.2L V10 seen in previous models, the range is now powered by a newly-developed 4.0 TFSI unit. 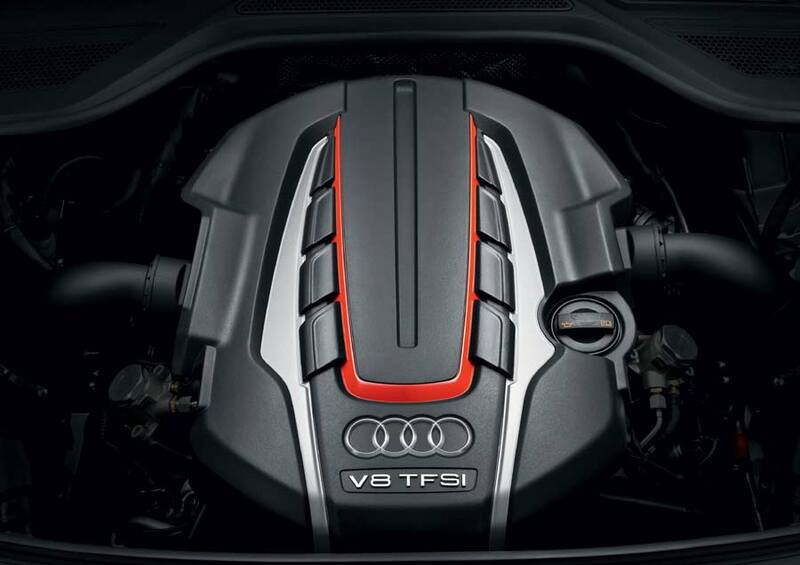 The S6 and S6 Avant use the 309 kW (420 hp) version of this engine – with a torque figure of 550 Nm (405.66 lb-ft) – good for a 0 to 100 km/h (62.14 mph) time of 4.8 seconds (Avant in 4.9 s), while top speed is limited to 250 km/h (155.34 mph). 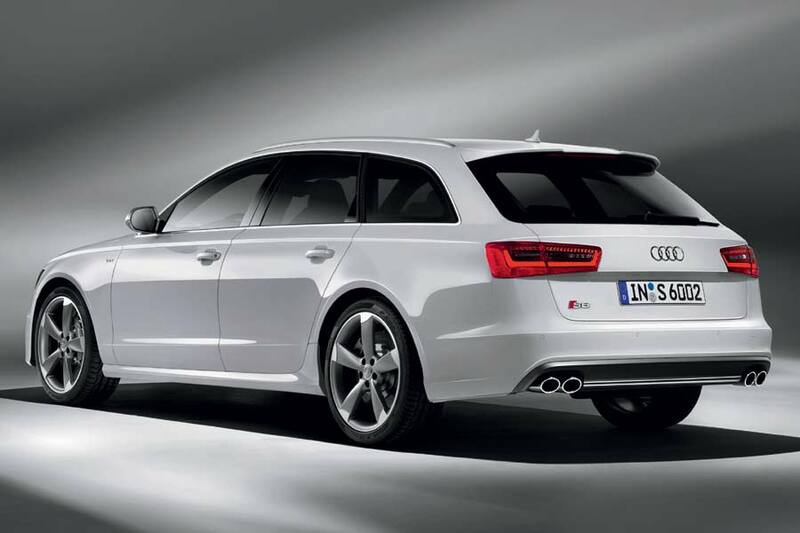 Average fuel consumption is just 9.7L/100 km (24.25 US mpg) in the S6 and 9.8L/100 km (24.0 US mpg) in the Avant. 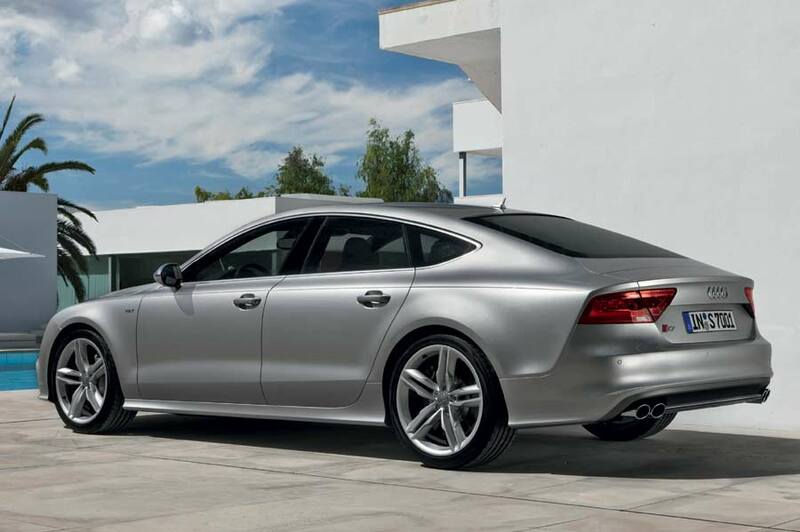 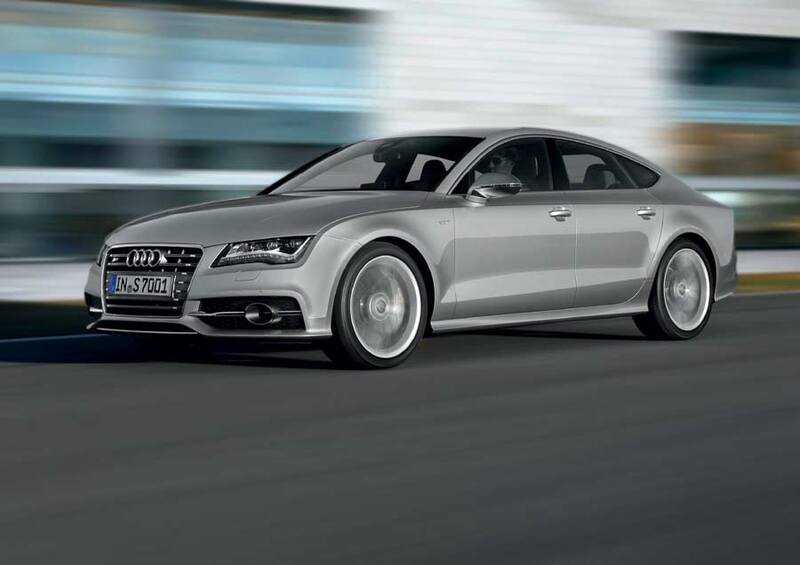 The S7 Sportback uses the same twin-turbo V8 as the S6 models, which propels the five-door coupé to 100 km/h (62.14 mph) in 4.9 seconds. 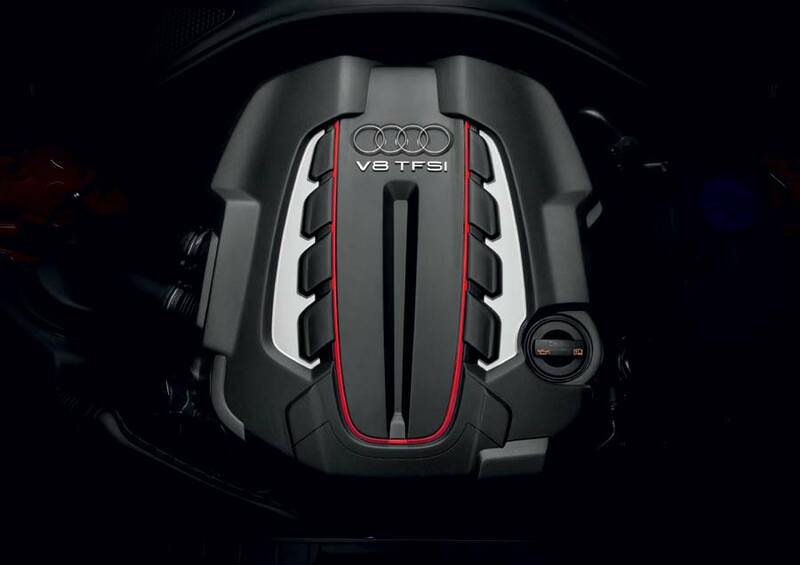 Consumption is identical to the S6’s, which, not only has stop/start technology to thank, but also the new “cylinder on demand” management system, which works in a similar way to the ones found in Formula One cars: if the engine is only under light load – it simply shuts down four of its cylinders. 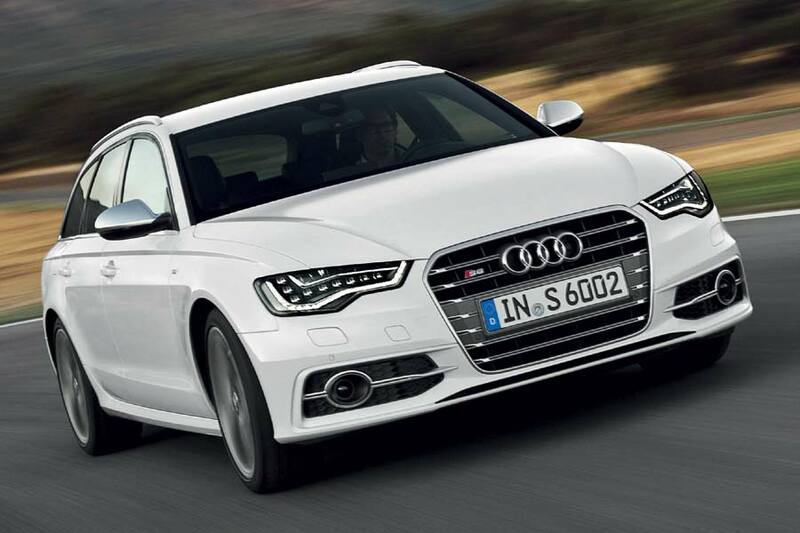 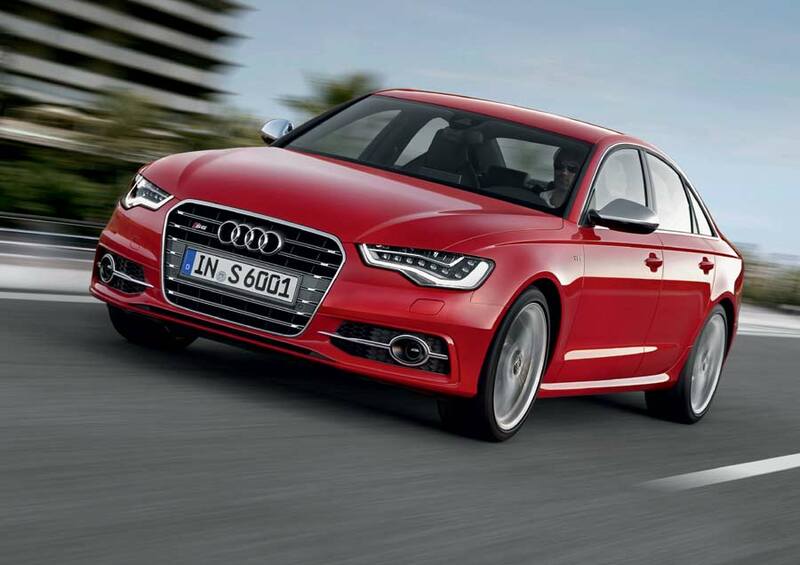 Audi turned up the wick for its luxurious flagship saloon, the S8. 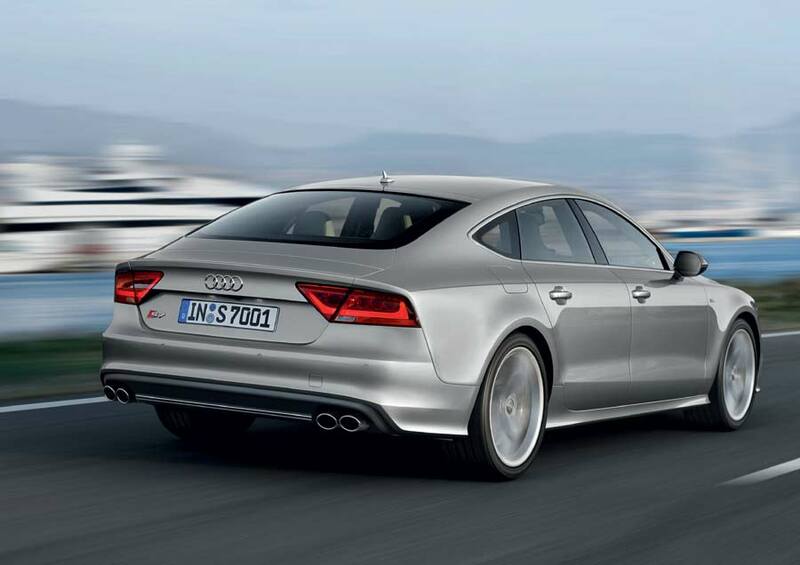 Developing 382 kW (520 hp) and 650 Nm (479.42 lb-ft) of torque, the sprint to 100 km/h (62.14 mph) is completed in just 4.2 seconds. 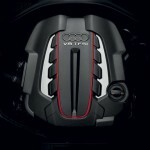 Sadly, top speed is electronically governed to 250 km/h (155.34 mph). 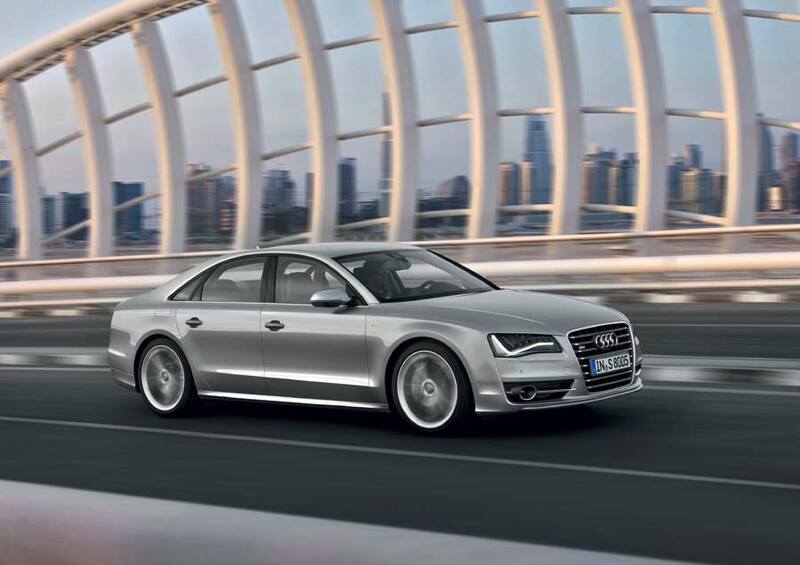 Although the 2013 S8 churns out 51 kW (70 hp) more than the outgoing model, it amazingly consumes almost 23 percent less fuel than its heavy-drinking predecessor, travelling 100 km on just 13.3 litres (17.82 US mpg).